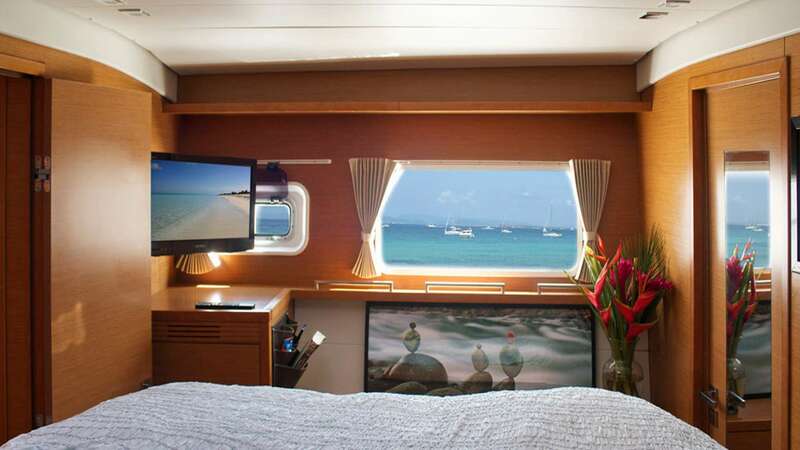 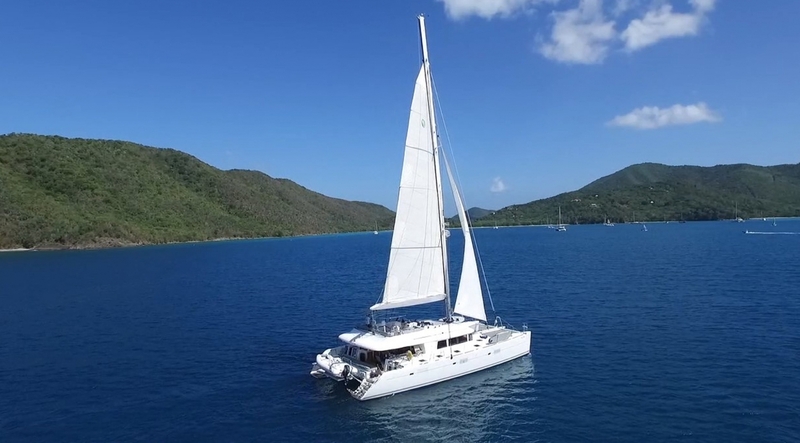 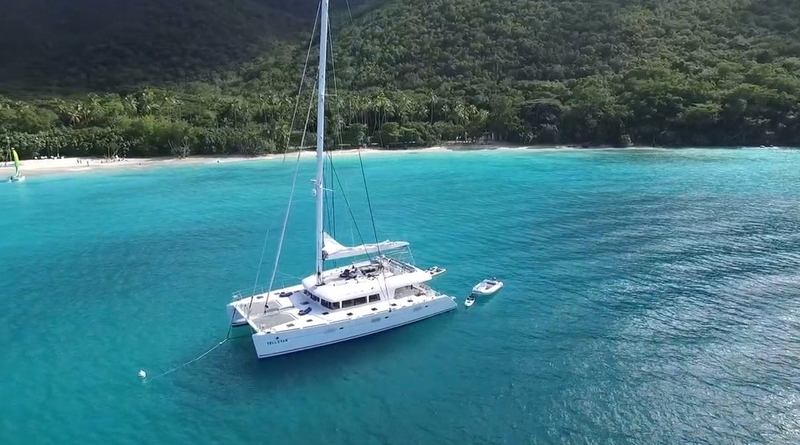 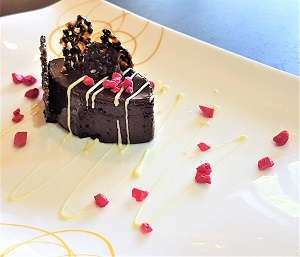 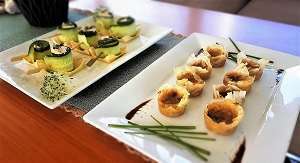 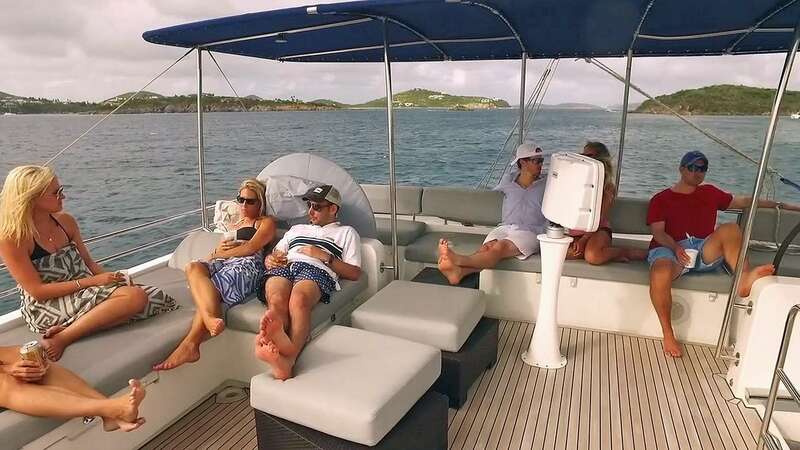 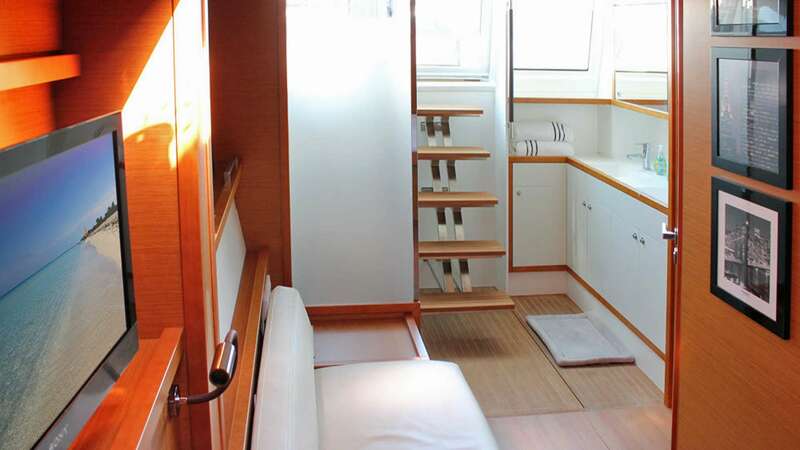 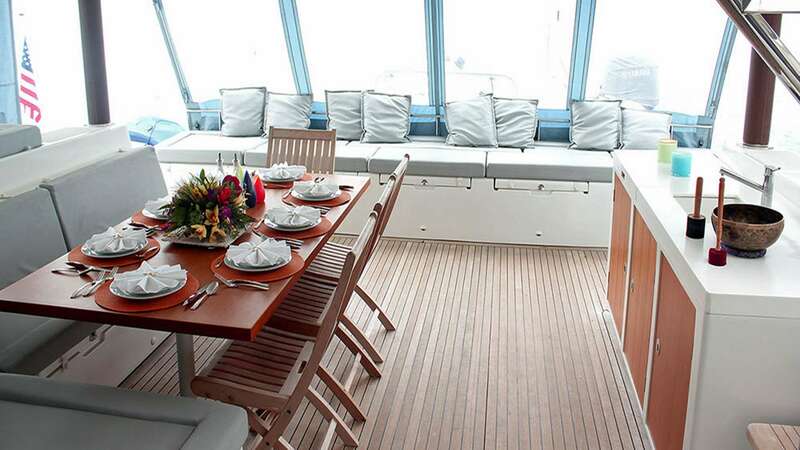 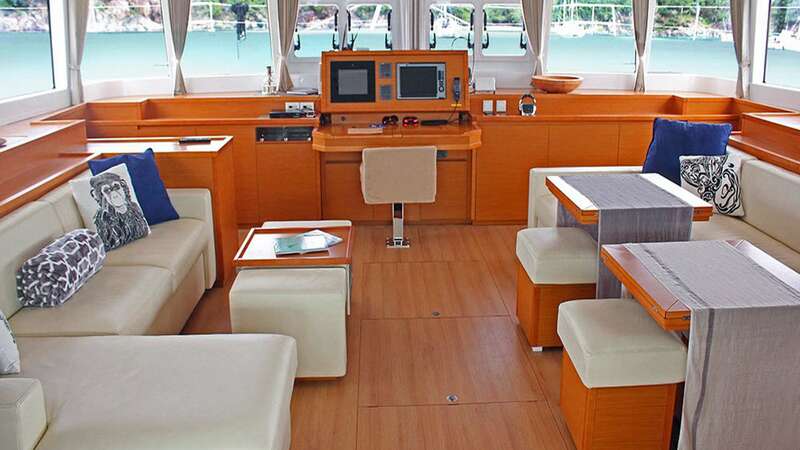 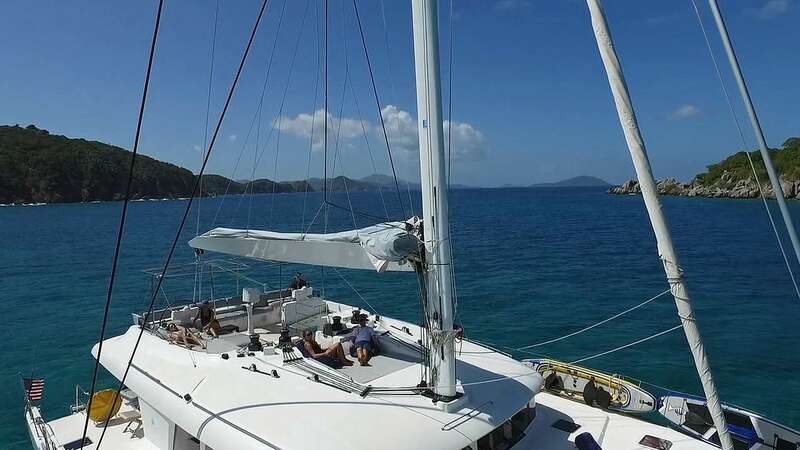 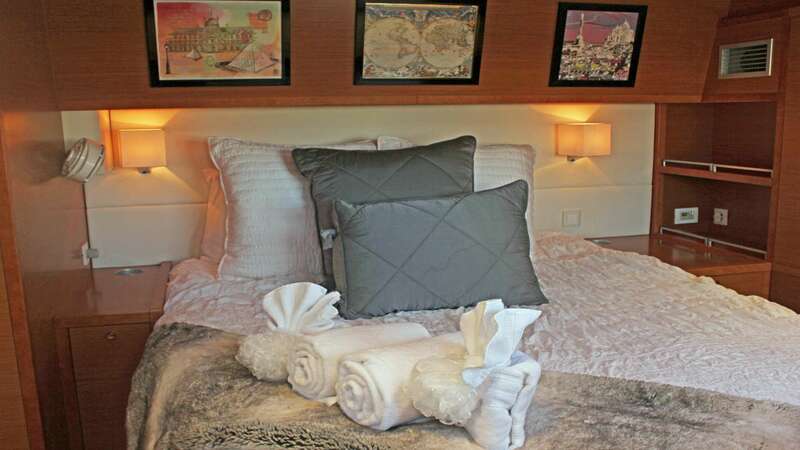 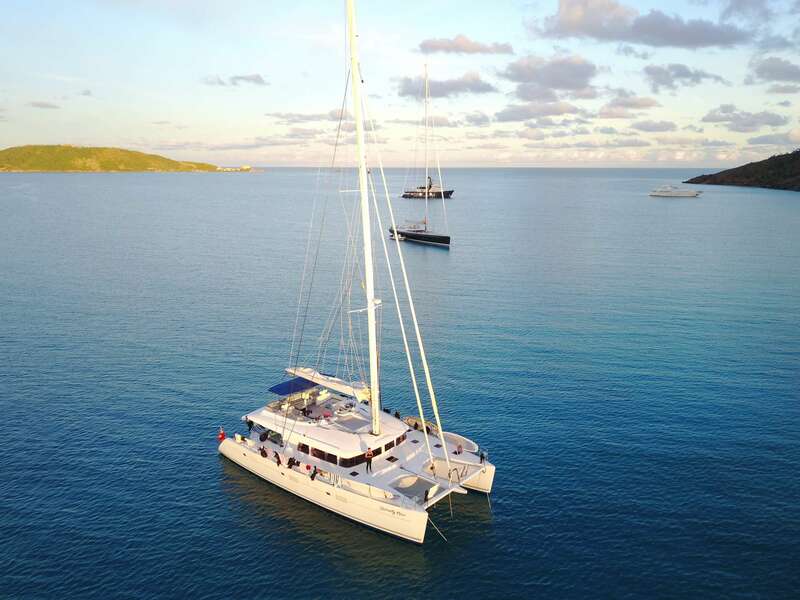 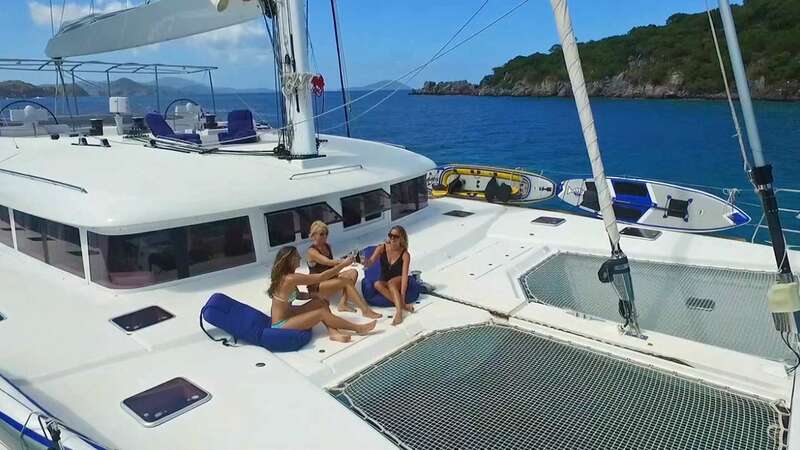 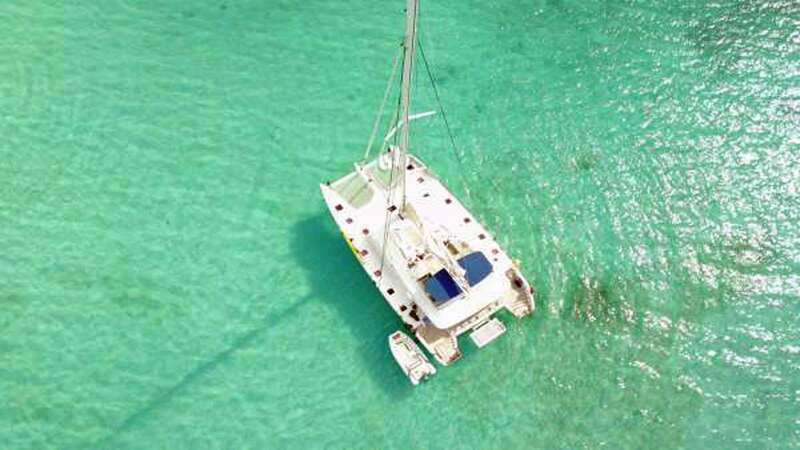 This luxury catamaran, a Lagoon 62, SERENITY NOW, accommodates 6 guests in 3 queens. 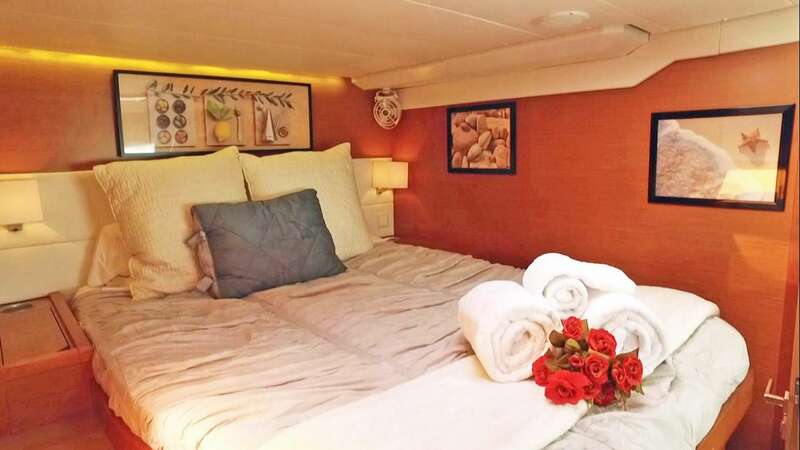 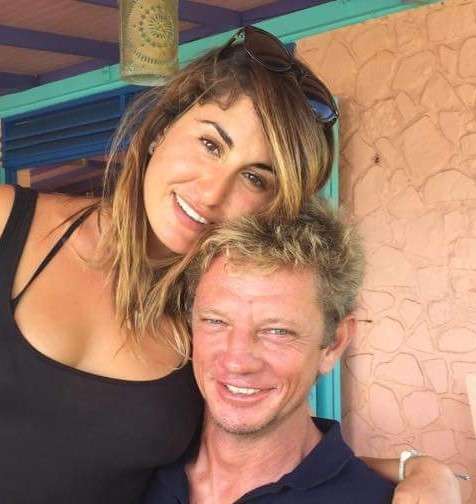 The crew can swap 1 twin cabin for a queen if required. 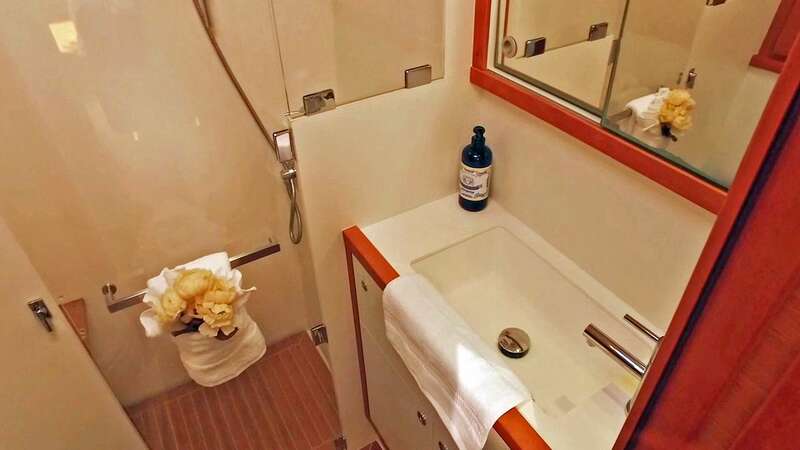 Each cabin has an individual shower, head, A/C control, and TV. 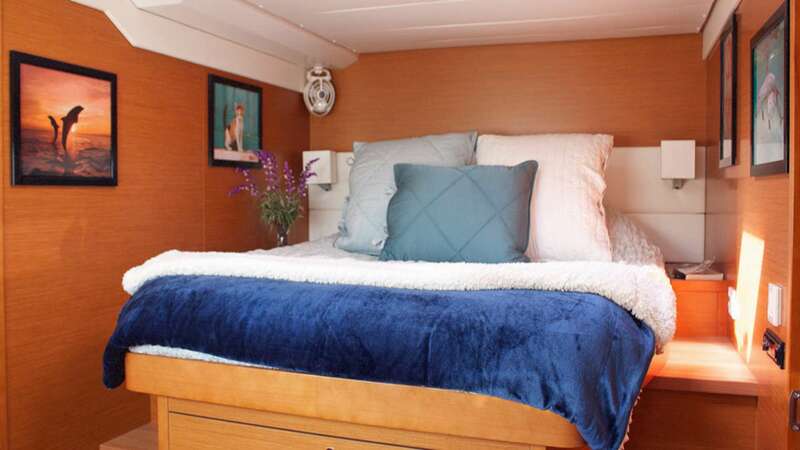 The master suite is oversized with extra storage, twin sinks, and private entry.